Dr. Joseph Kabaklian leads a team of skilled professionals at Enamel General and Cosmetic Dentistry in Newport Beach, California. He takes a comprehensive approach to dentistry, treating conditions, not just their symptoms, and developing an individualized plan to ensure each patient maintains good oral health. Dr. Kabaklian graduated from Boston University Dental School with honors in 2012, and became the managing dentist at Bright Now Dental. While gaining a great deal of clinical experience, he further supplemented his knowledge through various higher education courses, sharpening his skills and enhancing his ability to meet a variety of needs for every unique patient. Practicing general and cosmetic dentistry, Dr. Kabaklian offers a range of treatment options. When it comes to cosmetic dentistry, he loves helping patients achieve a smile they’re proud to show off. He works closely with each patient to understand what their idea of a perfect smile is, to ensure he delivers the best result possible. Dr. Kabaklian grew up in Newport Beach and attended CDM High School and UCI. Having always dreamed of opening his own practice in his favorite city, he set out to build a state-of-the-art office with the newest technology, designed with patient comfort in mind. Now that his dream is a reality, he hopes Enamel will become Newport’s leading and most trusted dental office. 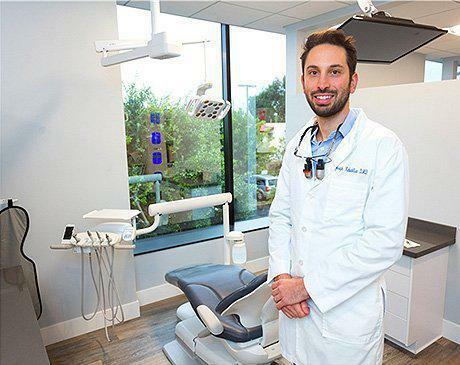 From preventive care to full mouth rehabilitation, Dr. Kabaklian truly exudes a passion not just for the dental profession, but also for improving the smiles, health, and lives of his patients.